本公司於1985年在香港成立.我們對租車行業有豐富的經驗及能提供優質服務,常備有平治轎車和豪華7人車供貴客多重選擇租用,旅遊觀光,機場接送,結婚花車,商務及中港過境服務等,歡迎預定. 所有車輛均由經驗豐富,服裝整齊及有禮貌的司機駕駛,務求客人能得到賓至如歸之最佳服務及足100分的滿意.為了使客人更有信心,本公司除領有香港特別行政區所發出之出租車許可証合法經營業務外,我們更有為乘客購買額外的保險,確保進一步的信心和安全.離家之前,怎可以不帶這個號碼: 852-2363 0990 / 852-9036 8820或者發一個電郵sales@sunnytour.com.hk親身體驗我們用心為你而設的尊貴旅程! Our company was founded in Hong Kong in the year of 1985. 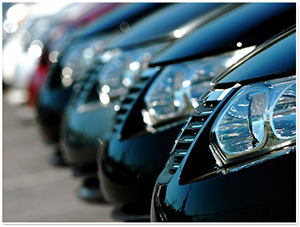 As one of leading To-Rent-A-Car, we have been offering premier service to our customers with long experience. The high class limousine, Mercedes Benz and luxurious van are for the honorable guest's option with multi-purposes of traveling, sight-seeing, airport pick-up, wedding, commercial activity or across Hong Kong/China border. To render the best service, our professional team of chauffeurs are with neat cloths and courteous. We make visitors enjoying the trip like family tour. In comply of the strict transportation law in HKSAR, our company is properly granted an official hire-car-permit on this traveling business. We offer extra insurance covered for each passenger as a guarantee of confidence and safety. Your entire satisfaction is our commitment! Just call on us: 852-2363 0990 / 852-9036 8820 or drop us an email sales@sunnytour.com.hk for advance booking prior leaving home on your journey.